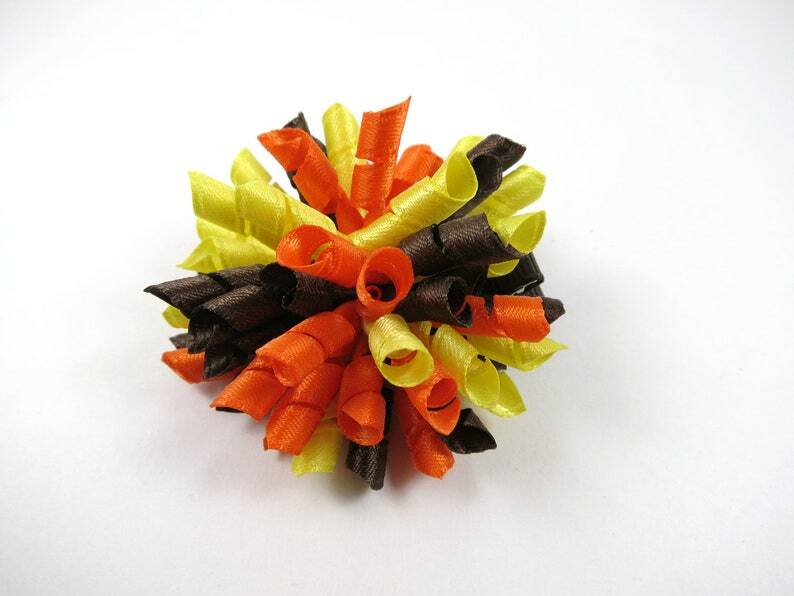 Full of fall colors this mini korker hair bow in brown, orange and yellow is what you will need for the entire fall and winter season! Mini Korkers are a great size for all ages! Korker Bows are great above pony tails, tucked under hair buns, to hold back bangs or get two for pigtails! Korker Hair clip would also look great attached to a headband. 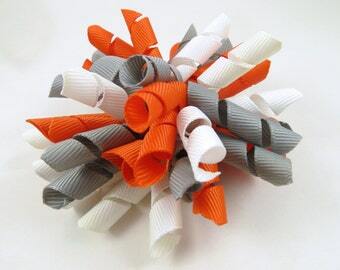 Korker Bow is made from several strands of korker in brown, orange and yellow! All ends have been sealed to prevent fraying and maintain korker for many years to come! Hair Clip is attached to a partially lined alligator clip. Clip measures 2 1/4" - 2 3/4" in size. Need a headband to attach korker hair clip to? Check out my other listings for headband options! All of my hair clips that are attached to alligator clips can be easily added to woven headbands! Simply open clip and slide into woven part of headband! Don't see the headband you are looking for? Message me and I can list a custom item for you. These bow' s really turned out cute. Will be perfect for Fall dresses. Thank you . This will go nicely with a favorite t-shirt. Thanks!